N.R. 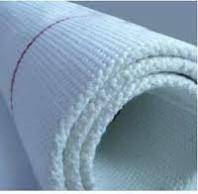 Filter & Fabrics Pvt.Ltd. We are engrossed in manufacturing and supplying optimum quality Air Slide Fabrics, which are highly durable, reliable, easy to use and cost efficient. Fabricated using different yarns and textiles, these are used for pneumatic conveying for free flowing powder and granulate bulk material. Quality is the main motive of our organization and we strive hard to maintain the required standards in our products. A team of skilled and qualified professionals helps us in carrying out different activities and meeting the diverse needs of the clients. N. R. Filters And Fabrics Pvt. Ltd.